The major media do not want to cover the issue of marijuana causing mental illness. But because a prominent Democrat, Patrick Kennedy, has raised it, the media have nowhere left to hide. The news that he says marijuana “Destroys the brain and expedites psychosis” was big news and a big headline in The Washington Post. 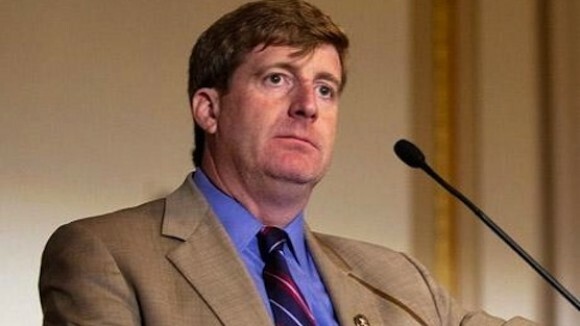 Reuters broke the story, “Patrick Kennedy On Marijuana: Former Rep. Leads Campaign Against Legal Pot,” which was picked up by the Huffington Post and other liberal outlets. Kennedy “is taking aim at what he sees as knee-jerk support for marijuana legalization among his fellow liberals,” it said. The dope lobby never expected a certified liberal—and the son of a liberal icon—to lead a new charge against them. SAM is a bipartisan group, chaired by Kennedy, which includes George W. Bush’s former speechwriter and Daily Beast columnist David Frum, Harvard Professor Sharon Levy, Kevin Sabet, and other public health professionals and lawmakers. Levy authored a resolution for the American Academy of Pediatrics opposing the use of “medical marijuana” in children, while Sabet served in the Obama Administration as Senior Advisor at the White House Office of National Drug Control Policy (ONDCP). Sabet has debated Ethan Nadelmann of the Soros-funded Drug Policy Alliance. Since tobacco companies lied to America for more than a century about the dangers of smoking, SAM suggests the truth about marijuana will also be concealed by the commercial and other special interests eager to make money from the product. In fact, left-wing British journalist Patrick Cockburn has already written about a “tobacco moment” for marijuana consisting of the connection between marijuana use and psychotic episodes that is comparable to the scientific recognition that tobacco smoking causes lung cancer and other illnesses. Cockburn wrote a series of blockbuster articles in the British media on how his own son went insane smoking marijuana. In addition to mental illness, a recent international study found a link between “persistent cannabis use and neuropsychological decline.” In other words, marijuana causes damage to intelligence, memory and attention. Wow, what he is saying is true. I never, in my life, thought I would agree with this idiot progressive. Wow. Thanks for posting this story I have not heard it any where else. Much like most of your stories. I like this website because of the depth of the material and all the links you provide. Thank you for all you do!